Arne Weinberg is becoming an ever-more frequent name in the world of dark ambient. Last fall we witnessed two major releases from his two musical projects. 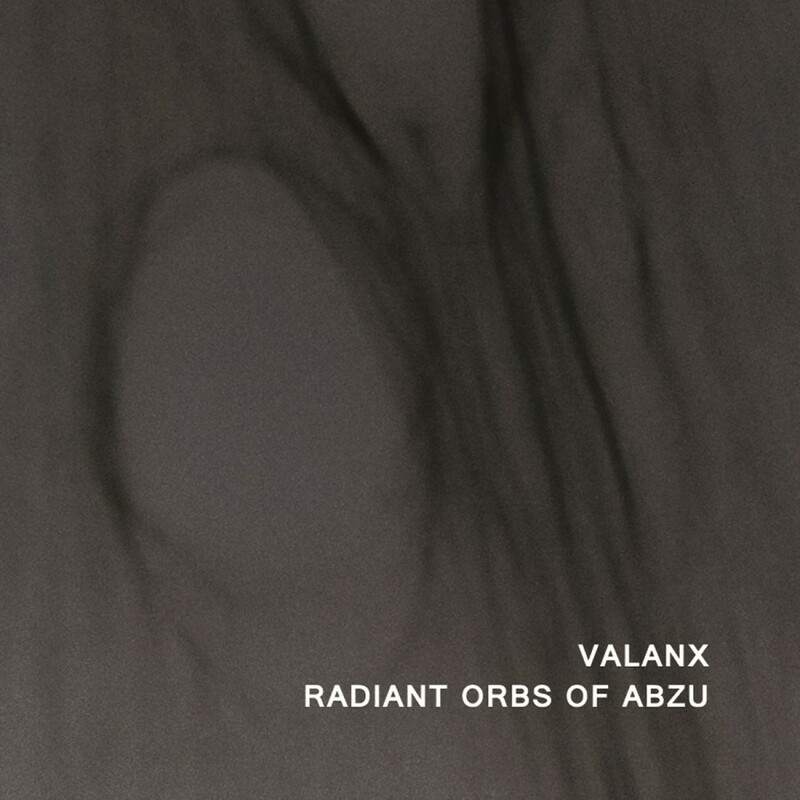 Valanx gave us Ouroboros on Reverse Alignment, a well renowned label in dark ambient circles. The second offering was Arc, by Solemn Embrace. Arc took us into more experimental territory with its entirety being created through an analog device, the Eurorack modular synth system. Arc also happened to be the first release on Cromlech Records, Weinberg’s new record label. Cromlech gives us a focus on drone, dark ambient and experimental electronics. While Arc was released as a beautifully designed digi-wallet, the next two releases, An Homage to Luciano Berio by Limited Liability Sounds and the current album in question Radiant Orbs of Abzu by Valanx, would both be released on cassette. After that bit of history, we are brought to this present release, Radiant Orbs of Abzu. Being Weinberg’s main musical project, Valanx was sure to pick up a bit more attention than the previous two releases. This concept makes sense for a new label to get a slow start and then release something that will draw in greater attention, and give fans a chance to look through and hopefully purchase the back-catalog of releases. Any listener already familiar with the work of Arne Weinberg on either of his musical projects will have a good idea of what to expect here. His main focus being analog synth, the sounds always take on that experimental vibe. Rarely, if ever, do we here field recordings or live instrumentation. Albums like this can make or break an artist. While, in general, I lean more toward the break side on many analog synth releases, Arne Weinberg manages to keep his albums entertaining, dark and often tinged with a bit of emotion. Abzu is the Sumerian god of fresh water or the primeval sea itself, depending on the culture in question. With that in mind, its immediately recognizable that Valanx has opted to add in a noticeable layer of aquatic soundscapes. The album starts off with, and indeed keeps using throughout its entirety, a sound which immediately reminds of the sonar beeps in a submarine. They have just enough added effect to make them sound more like they are coming from the water itself, than being transmitted through some machinery. This first track progresses at a glacial pace. There are changes over time, but they are slight and often the sounds begin to take on a meditative quality. The second track becomes much more active. It carries over many of the elements from the opening track. But, these elements are more often manipulated into contortions of their original forms. There is a great deal of other elements added into this second half. The album really begins to come alive. Looking at the story itself, we seem to be witnessing a sleeping god on side A. As if we are moving through the depths of the sea, searching for something, which we aren’t even sure is present but we have faith that we may discover. As we move into side B, the god seems to really come to life. It slowly awakens, as we watch helplessly, in a combination of equal parts awe and terror. By halfway through this second track, Abzu has fully awakened. The god is now making itself known to the world of sea creatures, as well as the humans, which were unfortunate enough to have brought this entity back to consciousness. From a physical standpoint, while I don’t have a copy of the tape, it appears from the images to be a well crafted j-card with an ultra-minimal approach to the tape itself. A solid gray cassette marked only as side A or B and numbered in its limited edition of 50. This trend of tape releases seems to work out quite well for artists, it’s a cheaper route for manufacturing and fans seem to really enjoy the nostalgia of returning to the musical format of cassettes. A win / win. Some releases even have a bit of character added to their sound by way of the gentle tape hiss in the background. In all, Radiant Orbs of Abzu is my favorite release yet by Arne Weinberg, as well as his nascent Cromlech Records. The release is highly entertaining. It has enough detail to allow the listener to continually find new elements on multiple replays. The tape edition is the perfect fit for a release of two 20 minute tracks. I would recommend this as the first place to delve into the discography of Cromlech Records, as well as Weinberg’s music as a whole. Fans of the analog side of dark ambient will find much to love here. Even those who feel a bit pessimistic about fully analog dark ambient are likely to find aspects to love about this release, and to find it a pleasant experience. Cromlech Records seems to be off to a great start, and there will surely be more well produced releases to come in the near future.